Imagine being the only surviving person in a one sleepy western town, owning the only business, managing the only library and acting as the town’s Mayor. Elsie Eiler doesn’t have to imagine because she is all of those things. 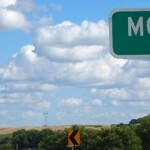 Elsie presides over 5 square miles of the incorporated land known as Monowi in northeast Nebraska. As Mayor she keeps the city’s books, collects taxes from land owners (including hers own) and annually presents all necessary paperwork to capture federal funding for town road improvements. She also approves and issues liquor licenses to the bar in town – her 40-year establishment, The Monowi Tavern. There are dozens of towns in the United States that have fewer than 10 residents; even fewer have less than 5. But only a handful have but one citizen. Of course, being one of only one is a distinction, but what makes Elsie unique is that she has managed to survive and have a thriving business as her town diminished around her. Her regular patrons, of which there is surprisingly many from surrounding villages, don’t just consider her the last remaining resident of Monowi; most call her a friend. And anyone who has had one of her hamburgers (including us) knows she is a damn fine chef as well. Her frail body, short wispy grey hair and introspective eyes belie an obvious internal drive and unflappable work ethic. She’s survived the death of her husband seven years ago and is currently battling colon cancer herself all the while working six days a week as bartender, chef and owner of the tavern. In addition, she maintains Rudy’s Library next door in tribute to her late husband. It houses over 5,000 books from Rudy’s private collection. Before he passed he had started the process of making the building into a library, so Elsie was determined to complete it. Which she did only a few months after he passed –a fitting tribute! She and the town have been featured in the LA Times, People Magazine, CBS Sunday Morning and most recently Only in America with Larry the Cable Guy. It’s actually hard to believe that she is in fact so well known since she initially seems shy and very humble, almost embarrassed by all the press she’s gotten. If you ever find yourself in Northeast Nebraska, be sure to stop by order a cold one or two and ask her to make you a hamburger. You will NOT be disappointed. Another shot of downtown Monowi. Some places have one traffic light, only a handful have one person. Elsie shared some historic photos with us. Inside the Tavern with our new friends! Kimmer and Victoria with the Town Mayor, The Honorable Ms. Eiler.